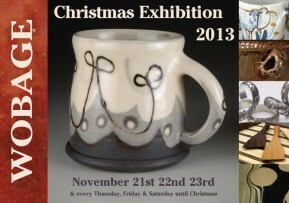 Please join us at Wobage for fresh coffee and mince pies for our Chrismas Exhibition. We’re open Thursday, Friday and Saturday, 10am – 5pm. 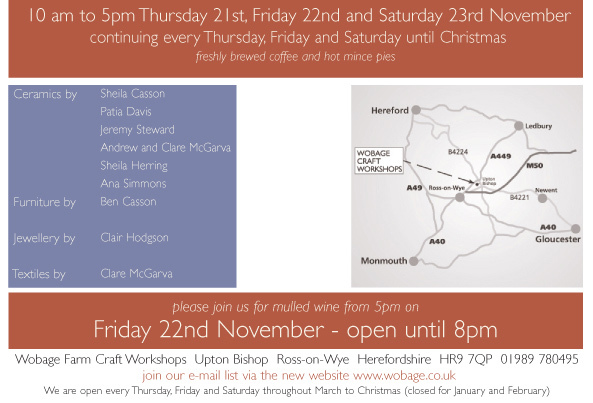 Enjoy a break from the busy high-streets, a quiet shopping experience for quality hand-made. For further information, please visit our Wobage Gallery website.